As the expiration is approaching, time to roll my ITM inverted strangle again (as I do not expect this one to expire worthless). 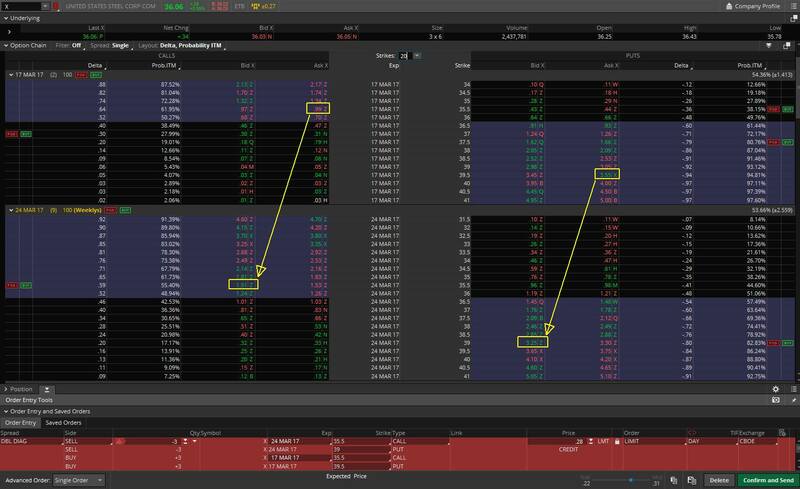 In this roll I continue rolling my puts down and keep calls at the same level. If the stock continues moving higher, I will start rolling calls higher and keep puts at the same level.